I arrived in Chiang Ria last night after waiting at the bus station for four hours because all the buses to Chiang Rai were booked. Popular place, I guess. 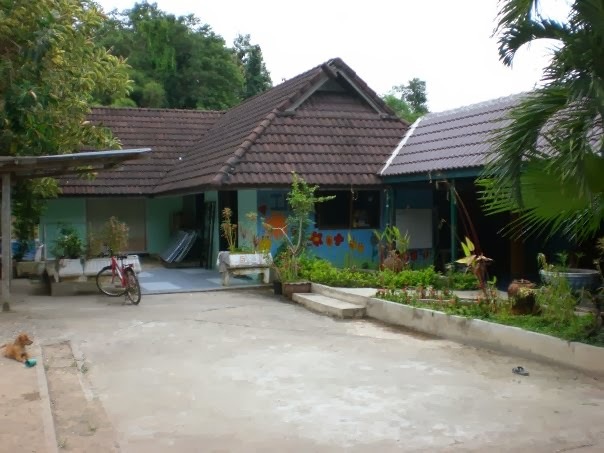 When I was on the bus I had the realization that I had know idea how to get to the orphanage once I got to Chiang Rai. I had the directions but they were in English, which is no good for a tuk tuk driver who only speaks Thai. 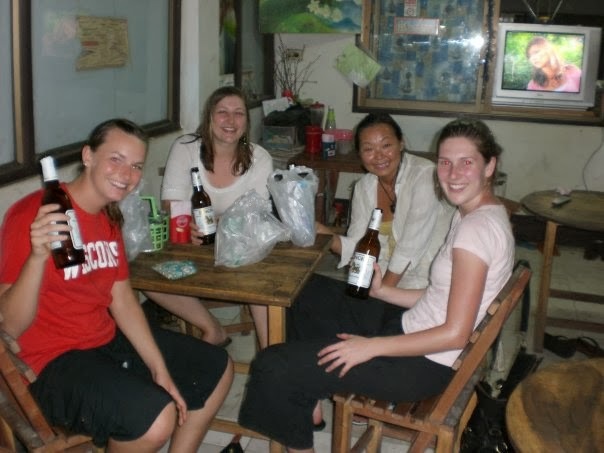 With a few complications and a few concerns that I was soon going to be homeless I found a way to contact the orphanage and the other volunteers came and picked me up in town. I will be volunteering at the orphanage for the next two weeks. When I arrived all the children were so welcoming and we all started arm wrestling... I mean why not? The most exciting thing about the night was that a butterfly the size of a crow flew into the common area (its all open so the inside is also the outside). It was amazing! I felt like I was in the middle of the Amazon. The children were playing and holding it but as children do (which I am definitely learning here) they sometimes play with things a little too much and killed it. The orphanage also has a kitty and a puppy. One of the other volunteers advise not getting too attached because once they're a little bigger they might just turn up on your plate. There are four other volunteers- 2 Americans (NY and San Diego), 1 Australian and 1 Brit. We are all pretty much in the same boat- they had some extra time on their hands so they decided to head to Thailand and volunteer, however, they plan on staying a year! Two of the girls just got to the orphanage in the last month. 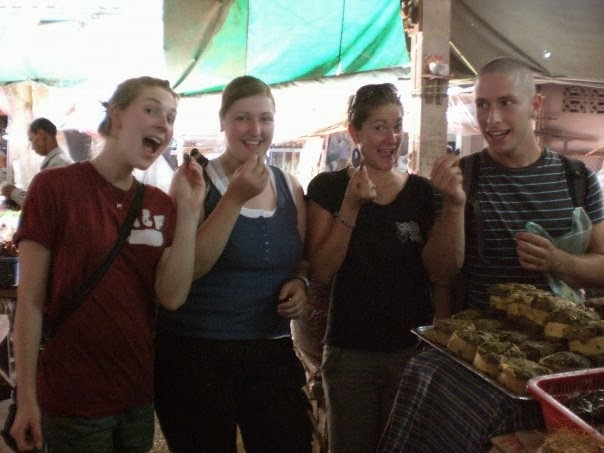 It's like being a camp counselor but in Chiang Rai, Thailand. We have our own house where we all sleep in bunk beds. 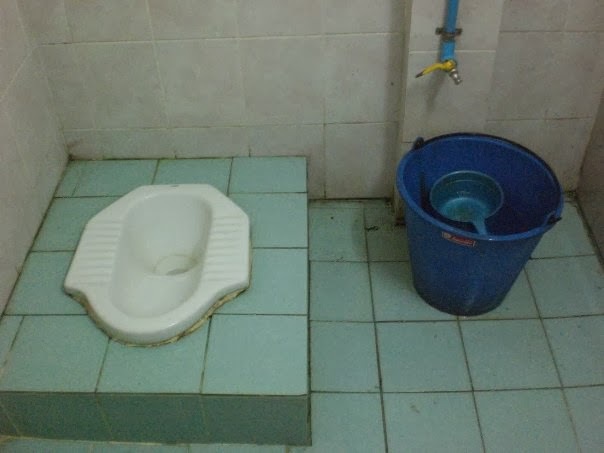 Most everything here is what you would expect but the toilet is a squat toilet and the shower consists of cold water with a medium size bucket and then a smaller bucket that you use to "shower" with. Instead of saying "I am going to go shower" we say "I am going to go bucket."